Too often, finalising a sale can turn into a time-consuming nightmare full of tedious paperwork. After the verbal yes, sales reps and operations folks spend several days formalizing and completing the order. It makes for a bad experience on both the customer and company sides. 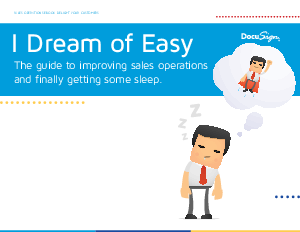 Download this eBook to learn how you can improve your sales operations and finally get some sleep.